Region: Southern and Northern part of Mongolia. This tour is designed for more comfort by allowing you to fly more and travel less on long, bumpy roads. The Crystal Blue lake Khuvsgul and the Gobi Desert which are the most beautiful places in Mongolia make this trip special. 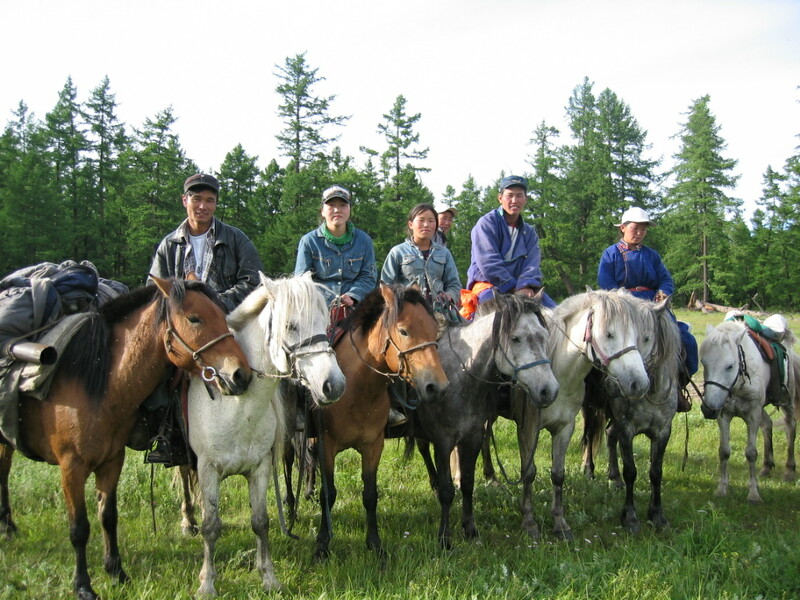 The first destination of this trip is the lake Khuvsgul which is known by the name “Ocean Mother” and “Blue Pearl” among the Mongols. We recommend you to see the local “Naadam” festival at Khuvgul lake at the same time exploring the beautiful landscape, reindeer and yak herders and their nomadic way of life. 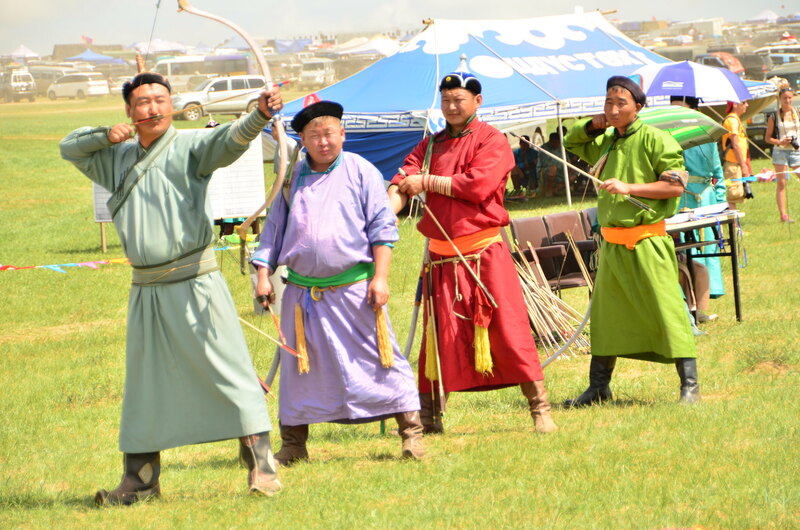 Seeing Naadam festival in a rural area is better than seeing it in a busy and crowded city as it gives you an opportunity to see more interesting things during the festival. You will enjoy watching wrestling, horse race and archery which are the main events of the Naadam festival. The young but strong jockeys will make you admired by their horsemanship whereas wrestlers and archers will attract you by their strength, technique and beautiful traditional costumes. While spending your days at the shore of the lake, take every opportunity to do interesting activities including horse- back riding, kayaking, and going on a boat to explore the sacred spot “Sant Asar” and visiting reindeer and yak herding families. Reindeer family lives in a tepee- style dwelling in northern Mongolia. It is also a good chance to visit them, know about their lifestyle and have your pictures taken with reindeer and reindeer herders. 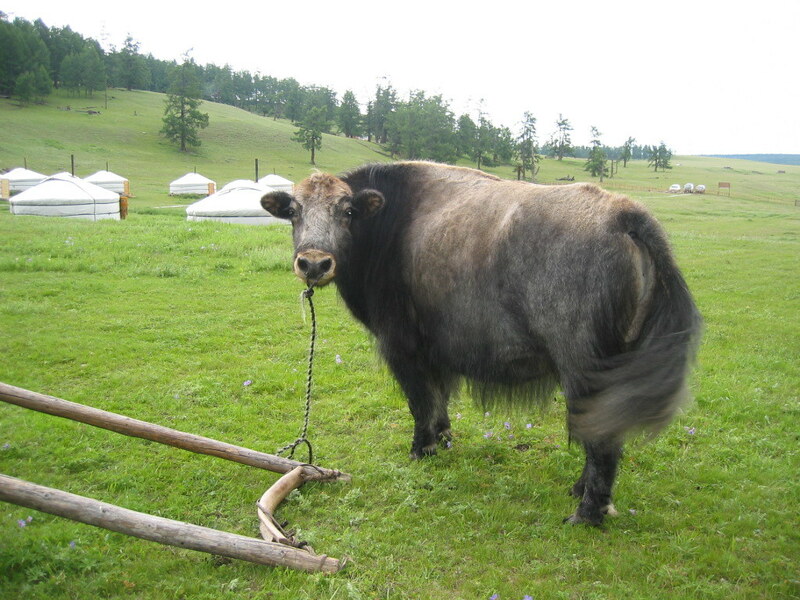 Northern Mongolia is a home to yaks since it is more mountainous than other regions in Mongolia. Don’t miss the opportunity to taste local dairy products including yak cream, curds and yogurt when you visit the yak herding family. Deer stone site at “Uushgiin Uvur” which draws the attention of many tourists from the images of human faces, the statue numbers and other artful illustrations on the deer stones is offered to see for you. 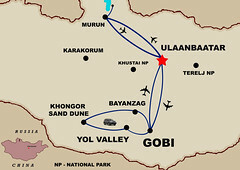 After you do the northern Mongolia, you will be back to UB for one night. Be sure that another wonderful day is waiting for you. 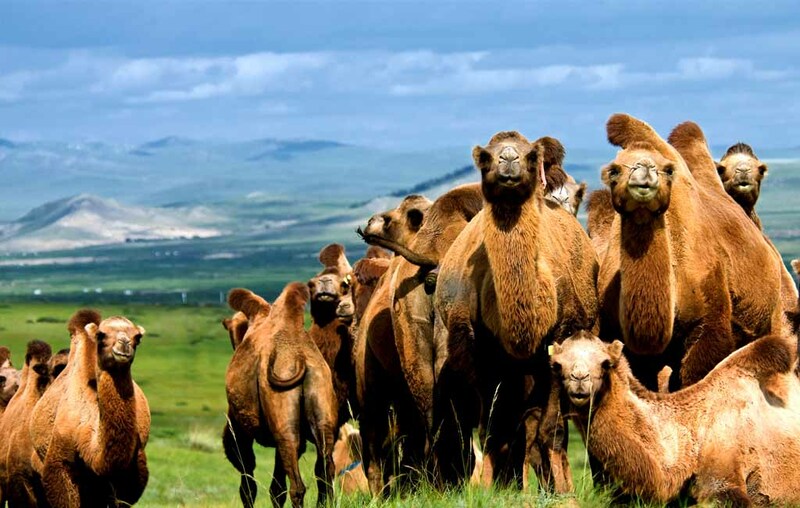 The next destination is the Gobi Desert, which is popular with tourists for its beautiful landscapes including sand dunes, splendid gorges with unique formations, birds of prey, small rodents, remains of dinosaur fossils as well as two-humped camels and camel herders. 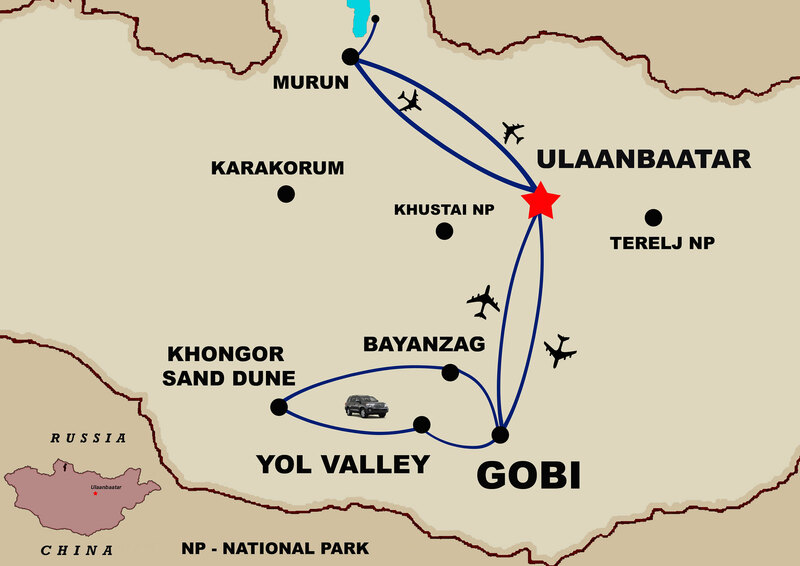 While traveling around the Gobi, you will be fascinated by the contrasts between the Three Beauty Mountain Ranges, ice in the Eagle Valley which remains frozen until July and sand dunes known as the name “Singing dune”. When you walk through Eagle Valle, observe and take pictures of pikas, the small cute rodents which are dragging grass into their burrows for winter consumption. We offer you to explore the Flaming Cliff which was discovered by an American explorer and naturalist, Roy Chapman Andrews in the 1920s. The red sandstone cliff is known as the name Bayanzag among the Mongols. Pieces of dinosaur bone are still being found at the Flaming Cliff and other famous locations in the Gobi Desert. 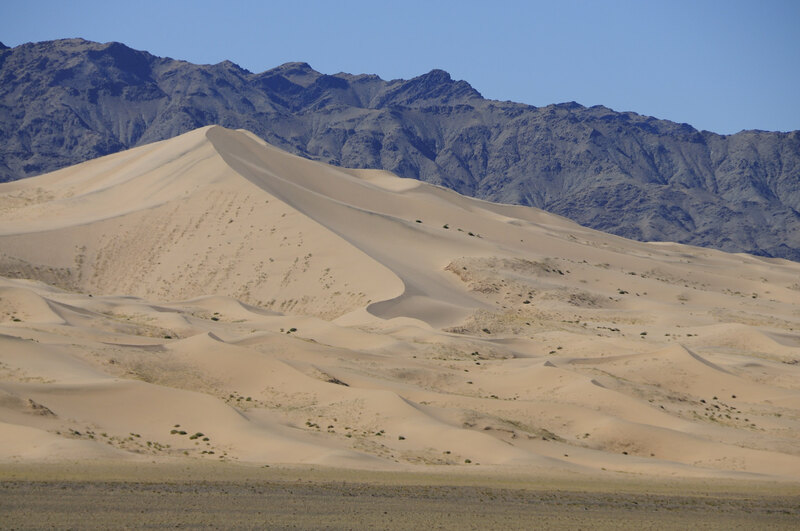 Khongor Sand dunes are another wonderful place to see in the Gobi Desert. If you get to the high sections of the dunes in the northwestern corner, you will have a chance to hear the sounds of the “singing dunes.”Another chance to hear the “singing dunes” is from the top. If you slide off the dunes by kicking your legs and pushing your two arms forward, it can be heard. 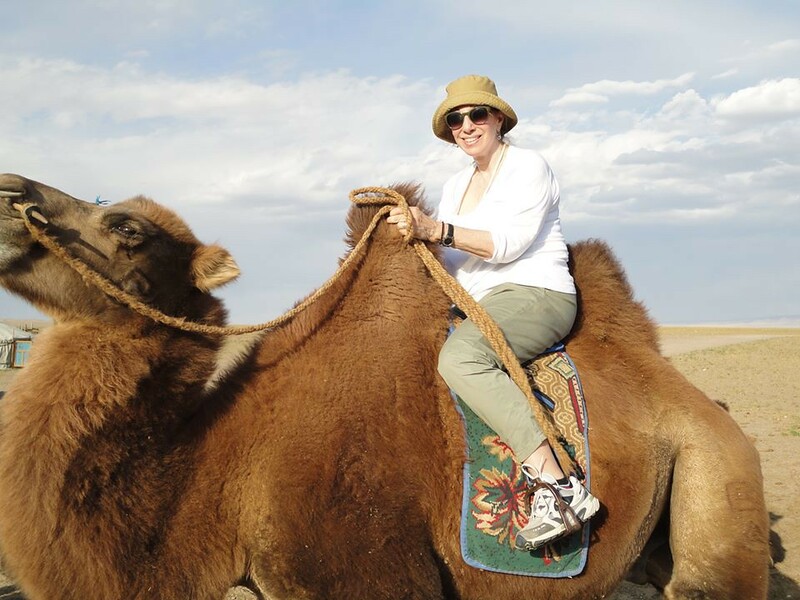 Mongolian Gobi is the only place where you can see two-humped Bactrian camels. Enjoy your trip to the Gobi by visiting nomad family, making friends with camel herders and finding out more about their lifestyles. Their hospitability and nomadic way of life makes this trip special too. Upon arrival at Genghis Khan International Airport, you are met by our guide and transferred to the hotel in the city center. We set out to explore Ulaanbaatar-the capital city of Mongolia-the home to over a one third of the country's population where the traditional gers and Buddhist temples coexist with sky-kissing towers! Begin from the Gandan Monastery-Mongolia's most revered religious site-home to more than 100 Buddhist monks with beautiful chapels, courtyards and a giant 75-foot gold gilded Buddha statue. After breakfast, we return to Muron for our afternoon flight to Ulaanbaatar. Upon arrival, transfer to the hotel in the city and rest of the day is open for you to pursue your own interest. July 10 Day 8 To Lake Khovsgul in the North. During whole lovely day you enjoy watch Naadam festival or three manly sports such as wrestling, archery and horse racing. Visit opening ceremony of Naadam festival at the national stadium. 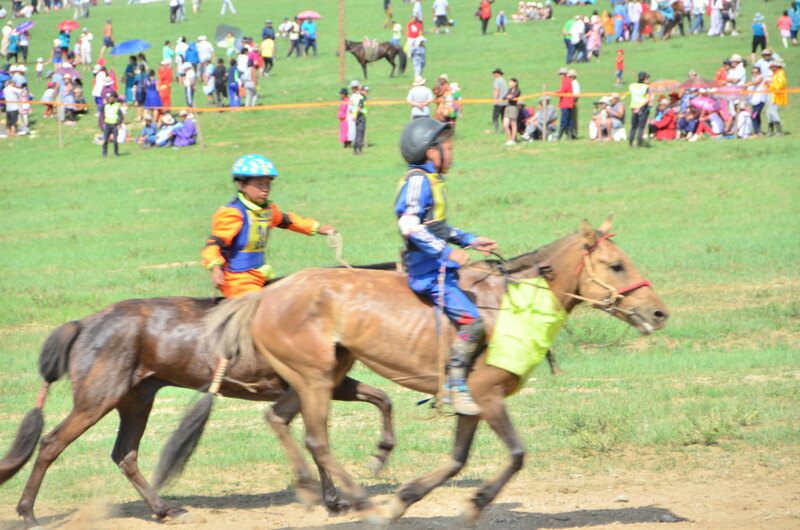 And you will see archery, wrestling and horse racing during Naadam festival. Naadam festival is of the victory of the People’s Revolution. Mongolia celebrates its independence and its rich cultural heritage with a festival of sports and revelry in Ulaanbaatar. The distinctly Mongolian feel and flair of the Naadam Festival make it a wonderful spectacle, a joyous time, and an intriguing cultural event. Colorful ceremonies and parading soldiers kick off the celebrations.